This is what you've been waiting for. 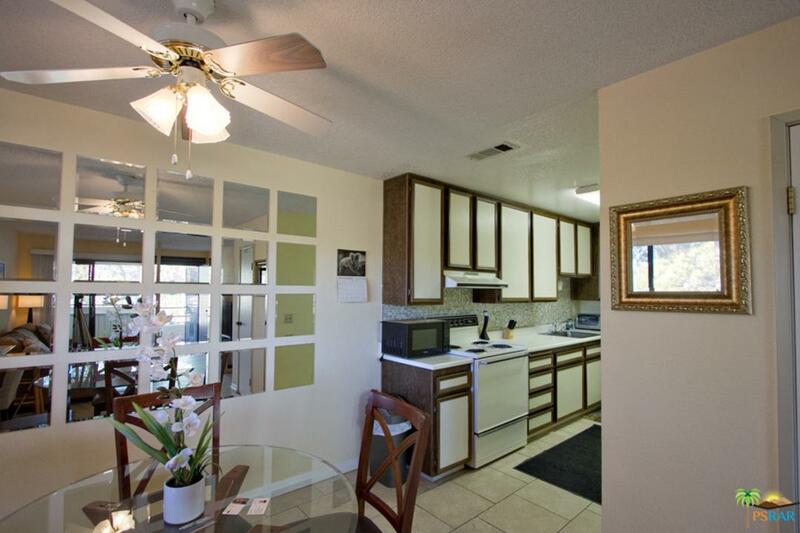 A beautiful one bedroom/one bathroom condo in a well kept gated community in North Palm Springs. 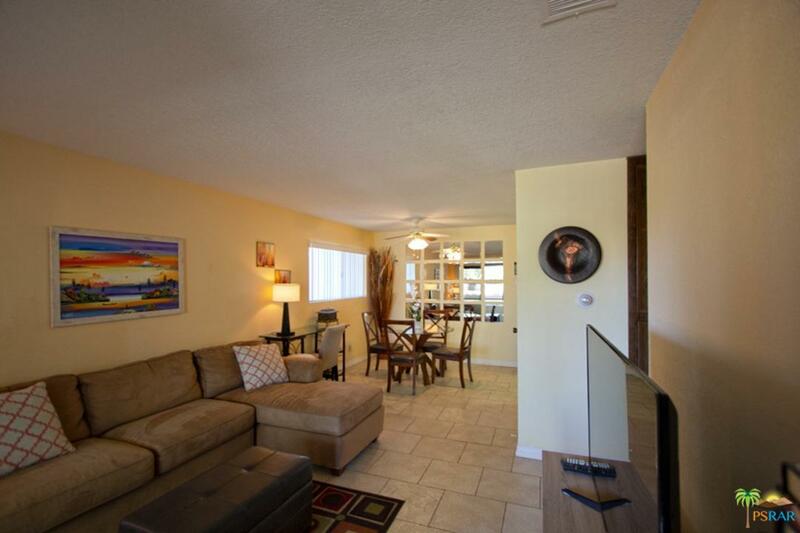 This unit is located in the corner of the building which is highly coveted in the Palm Springs Villas 2 complex as it has an extra window in the living area that brings in an abundance of light and has only one shared wall. 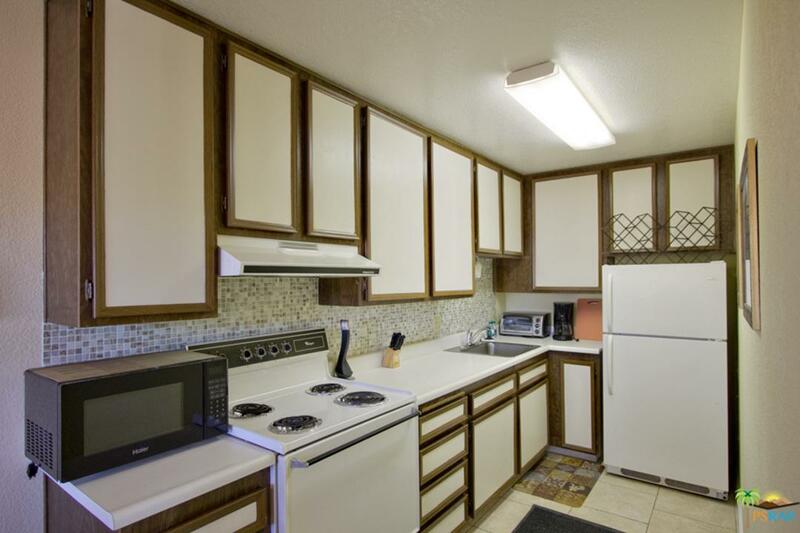 Great condition and move in ready. 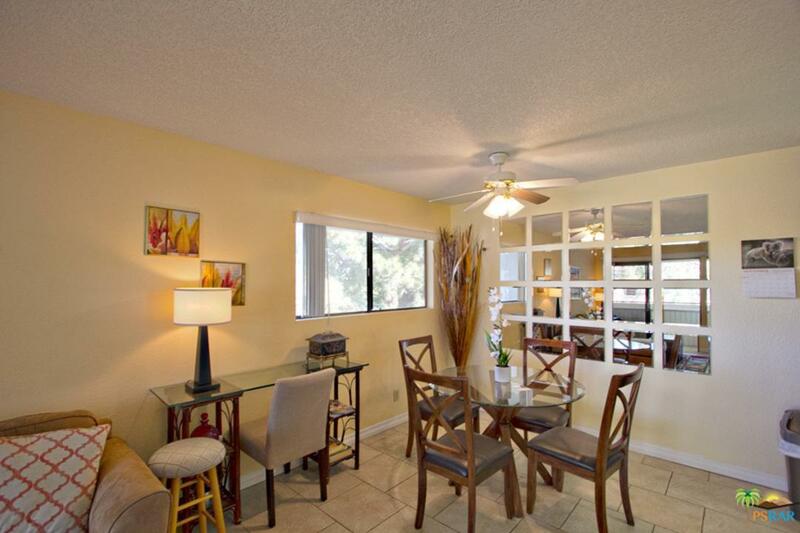 Also an amazing opportunity for vacation rentals as this complex is favored by a lot of seasonal renters. Only minutes away from restaurants, shops and downtown with easy access to Hwy 111. Few steps away from one of the many sparkling pools. Fee land (you own the land) and low HOA fees. Listing provided courtesy of Franz Rodriguez DRE#02002804 of Bhgre I Leaskou Partners.